Classical biofeedback was developed in the late 1960s by pioneering researchers such as Hans Selye, incorporating techniques developed as early as the 1920s to reduce stress (Dr R.Rife). It is a therapy for stress reduction through greater awareness and control of the body and its functions. The main object has always been to teach the body how to return to a state of homeostasis or balance. Classical modalities include finger temperature regulation, GSR (galvanic skin response or measuring skin's electrical resistance), EMG (electromyography or muscle relaxation), and EEG (electroencephalography or brain wave pattern therapy). Janos Seyle was a Hungarian medical genius; he first coined the word 'stress'. Seyle's theory is that stress is the start of all disease. When stress first appears it produces an alarm reaction - the 'symptom'. If the stressor persists then the disease goes deeper while the symptom disappears. This is known as the adaptation stage. If the source of stress continues, eventually the organism will exhaust and the exhaustion stage of deep incurable disease takes place. We are now more aware of our own energy fields, which have many layers. The alarm stage mentioned above is the warning system that stress has made it through our 'firewalls' or subtle bodies, and is now creating dis-ease on the physical body plane. Its seems so simple that the ideal path to well-being is to keep our outer defences strong so stress cannot affect us on the physical. Easier said than done. Early stress detection and reduction, therefore, is crucial, as it can take much longer to bring the body back from exhaustion stage. Quantum biofeedback has taken the concept of this feedback loop and added three new components: artificial intelligence, use of electrical frequency to measure and provide therapy and a completely holistic selection of modalities to deliver that therapy. It is a method of talking to your superconscious to identify and rebalance issues on all levels - physical, mental, emotional and spiritual. It harnesses your cell frequencies to communicate with your conscious mind using the practitioner as interpretor. The stronger the partnership between the practitioner, client and computer device, the more effective the results. The session starts with a quick painless test that asks for the cells reaction (biofeedback) to a database of vibrational stimulus. This is like a virus check on a computer, and throughout the therapy part of the session, we focus on weaknesses, allergies, toxic reactions, abnormalities, and imbalances. Once the test is complete, the system identifies what kind of 'therapy programme' will work for you - Quantum Biofeedback is a therapy in itself because appropriate vibrations can be sent back to the cells to remind them of their original blueprint. The system may identify that your healing path will be better served by visiting a homeopath, chiropractor, or medical doctor, and the system can identify appropriate lifestyle changes - the usual suspects being diet, exercise, sleep etc. Whilst not everyone responds to the vibrational healing aspect of Quantum Biofeedback, everyone benefits from the wealth of information they get about themselves and the view to moving forward. It is the ultimate annual health check. Biofeedback has been scientifically proven to help reduce stress and hypertension that may be related to illness, injury, or emotional trauma. Quantum Biofeedback can result in an overall improved sense of well-being, greater mental clarity, pain reduction, and improved physical performance. Let's have a look at some of the principles and facts that the EPFX/SCIO is based on. Chinese medicine states that over 70% of all disease is caused by some form of stress. The stress could be physical, emotional or psychological, but it is all stress. Surrounding every living being on the planet there is an energy field. Cultures worldwide recognize and respect this fact. A Russian Kirilian Photographer, Harold Saxon-Burr, has captured proof of this energy field on film. The EPFX/SCIO reads the body's energy field similar to a virus scan on a computer. It locates blockages and disturbances in this energy field caused by stress, which can in turn, cause disease. It then returns corrective frequencies to help the body activate its own ability to heal itself. The EPFX/SCIO, while detecting and measuring energetic imbalances is also acting as a therapeutic tool to bring the body's energy back into balance using a variety of energetic modalities such as electro acupuncture, iridology, chiropractic, reflexology, Chinese herbal medicine, and homeopathy. The EPFX/SCIO even has the capability of doing totally non-invasive face-lifts, which last longer than surgical procedures. We must understand that this device can't do all the work on it's own. The human body has the amazing ability to regenerate itself given the right help. You and your body work with the EPFX/SCIO during a session. This happens on two levels. Subconsciously - your body accepts the frequencies being emitted by the device and uses them to restore the energy flow. Consciously - you are learning what is taking place within your body which enables you to take the proper measures to assist your body in healing itself. Autofocus Balancing- Acupuncture, Chiropractic, Color, Rife, Chakra, Trivector (Bicom/Mora), Spiritual Healing, Biofeedback. Focused - Degeneration, Injury, Pain, Metabolic Repair, Co-ordination, Neurological, Fibrositis, Digestive, Relaxation & Sleep, Feel Good,Oxygenation, Flexibility, Muscle Building, Immune Stimulation, Hormonal, ChronicFatigue, AntiInflammation, Intellect Stimulation, Psychic Abilities, Stem Blood Sugar, Parasympathetic Nervous System, Sympathetic Nervous System, Autonomic Nervous System, . All things in life vibrate or resonate at certain frequencies, unique to each item. For example, a grape and a peanut have a difference resonance; swine flu and lyme disease have a difference vibration. You have a completely unique cell frequency that is different from your mother or son. Even identical twins have resonant differences, although their DNA is identical. The system calibrates your cell frequency and then tests your reactivity to the frequencies of around 10,000 compounds in the database. These range from everyday items like vitamins, beauty products, and foods to things you would rather not come into contact with like toxins, pathogens, or pollutants. You are also tested with the vibrational version of remedies including flower essences, homeopathics, herbs and medications. Our job is to assess the test information and see the path to restore balance. The system indicates needs, dysfunctions and vulnerabilities.WeI look for the patterns of health - the energetic state of your body and the direction in which it is focusing its energy.WeI look at all levels - physical, mental, emotional and spiritual - to find the links between them. The test process is quick (around 5 minutes), non-invasive and can be performed on humans, land and animals, even at great distances. The system provides information that you can work with to make adjustments to your lifestyle. In the hands of a qualified medical professional it is a powerful diagnostic and treatment tool. In the hands of a trained complementary practitioner, it is a powerful assessment, educational and balancing gift. It is used, worldwide, by acupuncturists, allergists, chiropractors, dentists, GPs and other doctors, herbalists, homeopaths, naturopaths, veterinarians and nutritionists. While this system can be integrated into existing practices, it is also a powerful stand-alone therapy. You are connected to a electro-magnetic device called SCIO, with a head band, and wrist/ankle straps. This provides the two-way interface that allows testing and therapy. During the session, the system continually measures your body's reaction to gauge if there is a benefit. If there is no improvement, the input resonance is altered. Each beneficial setting is kept as long as it is helping and is changed when it is no longer useful. How does Quantum Biofeedback help? The system outlines anything that is affecting your health and wellness. For example, if you have digestive trouble, the system may show that you had salmonella as a child, which is still causing problems. Reactions to various types of foods, chemicals, and other substances are revealed and can be further investigated by talking to you and establishing patterns through the programmes. The system points the way for you to take responsibility for your own health. General Wellness - they take their information away and run with it themselves, or come back for a regular health checkup. Specific Illness - confirmation of existing diagnosis, medication etc; they take away information relating to diet and lifestyle; many choose to have regular appointments because the therapeutic effects of the system work for them. Stress reduction - these people find that the system really helps to reduce their stress/emotional levels and they come once every 4 -6 weeks. Motivated - these people are specifically using the device as a developmental system to go further in their own spiritual process. Can children benefit from Quantum Biofeedback? Quantum Biofeedback is ideally suited to babies and children, as they are often unable to verbally communicate what they are experiencing. Parents with children labelled as ADD, ADHD, dyslexic, autistic or other issues have seen considerable improvements; quantum biofeedback can unearth contributing factors, including trauma or toxins from foetal stages. Babies or new mothers can also benefit, particularly for colic, mastitis and sleep problems. 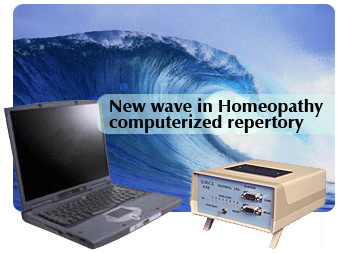 This particular biofeedback system started its evolution in the late '70s through research into bio-response healing, otherwise known as Energetic Medicine. Professor William Nelson is the creator, and worked with input by medical and alternative practitioners from Britain, USA, South Africa, China, Hungary, Canada,Russia and other countries worldwide to develop the software programmes. The basis of bio-electrical medicine is in the combination of voltage, amperage and resistance. The only things that can truly be measured electrically are voltage and amperage. Everything else is a mathematical variation of voltage and amperage. The SCIO device starts by measuring multiple channels of this information. Multiple channels are needed so that variations in the electrical potential and flow of the whole body can be observed. These are measured at the extremities and the head. This direct measurement is of four channels of voltage, four of amperage, and four of resistance. These are received by a computer via the device, with the computer acting as a frequency counter for receiving this data. This makes an active twelve-channel measuring device. Other calculations are made mathematically. Resistance can not be measured directly, it must be calculated from an amperage or voltage meter. In the same way a capacitance meter can not directly measure capacitance it must perform a mathematical adjustment of voltage and amperage flow. These calculations are referred to as 'virtual' or 'mathematical' measures, so even the single-channel resistance devices of electroacupuncture devices such as Listen (BEST), Voll, Phasix, Bicom, Mora and a host of others use virtual measurement. The SCIO device measures over forty virtual dimensions. The variations of amperage and voltage flow allow measurement of capacitance and inductance. These are the reflections of static and magnetic effects of bio-electricity. Variations in amperage and voltage allow measurement of frequency. Changes in the voltage, amperage, and resistance together make up the reactance and susceptance of the electrical system. This is the most important measure of medication testing. Resistance alone is helpful, but when coupled with voltage and amperage the testing is greatly improved. Complete electrical reactance is the best measure of biological reactance, and multiple channels are needed to measure total reactivity. The bioresonance of the body can be measured in this way: the reaction of the body to the frequencies of nosodes (pathological), isodes (chemical), allersodes (allergen), sarcodes (healthy tissue), classic homoeopathic medicines, herbal medicines, minerals, amino acids, enzymes, hormones, bacteria, fungus, parasites, nerves, vertebrae, muscles, and thousands of other compounds. The resonance of the system is measured by determining the evoked potential or reaction of the body to these compounds. Evoked potential is the electrical reaction of a patient to a stimulus. By analysing the subject's evoked potential or change in the above first 52 measures we can see the patterns of the energetic body of the subject. The speed of this reaction is very fast. The speed of reactivity is controlled by the speed of ionic exchange, this is the speed of change in metabolic reaction, approximately one hundredth of a second. The device is calibrated for each individual patient. To measure the 52 factors at biological speeds of one hundredths of a second requires a computer. In just one test over 65 million bits of data are attained from the subject. The sophistication of this data and the nature of this fractal and chaos system, requires the use of a non-linear system of analysis. A fuzzy number mathematics system of Fourier form fit is used as a basis of analysis. Other systems of numerical analysis are used when needed. The SCIO can detect energetic aberrations and repair them automatically. This is like a rectifying circuit in a television. The device is a new kind of technology for energetic medicine, as the system will perform without conscious intervention. The doctor and the client do not exert conscious influence over the results as the system does not notify what is being tested at the time of testing. 'Invisible' therapy is intrinsic to human existence and intelligent energy for diagnosis and healing has been used for over 5000 years (acupuncture and homeopathy are good examples). Technology, in the form of computers that can address the vast mathematical computations of quantum physics, bring the ancient healing arts into the 21st Century, making them available to all of us. Emotions, thought forms, physical health, and illness all have characteristic electromagnetic waveforms. Quantum physics has provided a scientific understanding of electromagnetism, which is at the heart of energetic medicine. It has also discovered that the human system, at its most basic level, operates according to the laws of quantum physics & energetics. The system is a safe, powerful bio-feedback device designed for diagnosis (in the hands of medical professionals) and powerful healing. The device focuses on stress reduction and provides information on the possible origins of imbalances throughout the body. Once an imbalance has been identified, the system will utilise the comprehensive suite of therapeutic programmes in the software or recommend non-electromagnetic therapies. The product is not intended to diagnose, treat or cure any disease.